Invented by custom mat company to help reduce the occurrence of moisture and mold this mat is made from the thickest chair mat material ES robin’s produces. 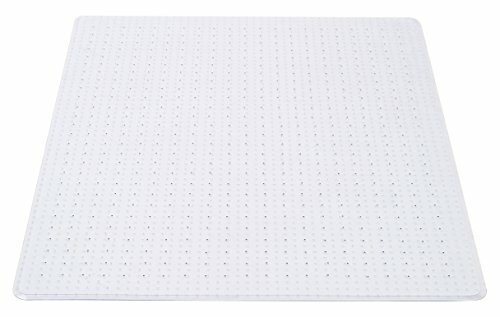 This 60" x 72" square mat has hundreds of tiny holes to allow the mat to breathe and beveled edges which allow you to move on and off the mat with ease. The exclusive e s robins anchor bar material holds mat firmly in place while being gentle on your carpet and hands. Manufacturer: Custom Mat Company, Inc. Publisher: Custom Mat Company, Inc. Studio: Custom Mat Company, Inc. If you have any questions about this product by Custom Vented Chair Mats, contact us by completing and submitting the form below. If you are looking for a specif part number, please include it with your message.